At least 90 million couples worldwide, and over 10 million in the US alone, are trying to conceive a baby. Today, more and more couples are seeking help in their efforts to become pregnant. Often, that help takes the form of prescription drugs and invasive fertility procedures, but for many couples, effective natural options exist. FertilAid has helped tens of thousands of couples achieve pregnancy. Why Are Couples Seeking Fertility Support? On average, it will take couples 6 to 12 months to conceive a baby. There is only a 20% average chance of becoming pregnant each cycle. 30 years ago, the average age of new mothers was 26. Now it is 30 and climbing rapidly. When a woman reaches her early/mid 30’s, the monthly chance of conception drops to 10-15%. Due to stress, diet, and the environment, male fertility and sperm quality may decrease with age. Men and women are equally likely to be the source of infertility issues. With couples trying to become pregnant at an older age than in past generations – and the stresses of daily life increasing – couples may need support in their trying-to-conceive efforts. As part of an overall approach to preconception health, FertilAid is designed to help increase your chances of conceiving a baby – without prescription medications. 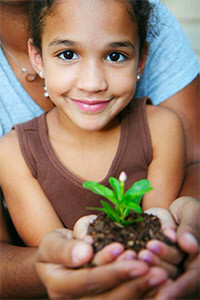 FertilAid also plays an important role in helping to prevent birth defects. In fact, FertilAid was formulated on the basis of established scientific literature to help optimize fertility safely and naturally – for both men and women. 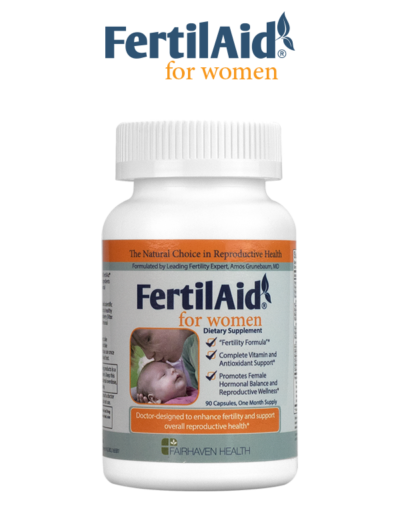 Designed by Amos Grunebaum, MD, the herbal/nutritional components of FertilAid – validated by established scientific research – have been uniquely chosen for their roles in promoting reproductive wellness. As a leading ObGyn to the stars, respected fertility expert, and noted author, Dr. Grunebaum has spent the last 30 years helping couples conceive. 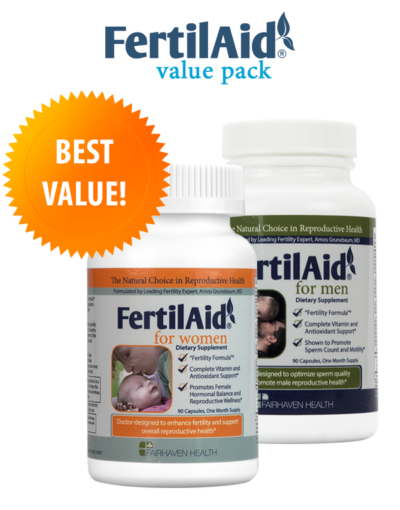 FertilAid brings needed fertility support in all-natural Women’s and Men’s formulas that are both effective and complete – including key vitamins like Folic Acid and proven ingredients like Vitex (women’s formula) and L-Carnitine (men’s formula). As part of a healthy diet and lifestyle, FertilAid is designed to optimize reproductive health and increase your chances of conceiving – by bringing together select herbal ingredients and key vitamins in natural, non-prescription formulas tailored to the unique needs of both men and women. A “Fertility-Enhancing” Formula: promotes regular ovulation and female hormonal balance. Natural, scientifically-validated herbal ingredients, including chasteberry (vitex agnus castus). “Just Right” preconception dosage of Folic Acid – important in preventing birth defects. Complete Vitamin and Antioxidant Support – Guaranteed for Quality and Potency. 100% recommended daily allowance of vitamins and minerals for trying-to-conceive women. 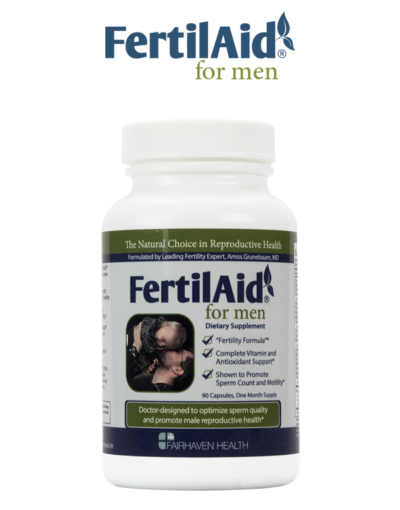 A “Fertility-Enhancing” Formula: helps increase sperm motility, sperm quality, and sperm count. More L-Carnitine than other brands – a key nutrient that helps promote healthy sperm formation & increase sperm motility. A rich source of powerful antioxidants to support reproductive health and reverse oxidative damage. A dynamic source of B-Vitamins and minerals like Zinc to promote male reproductive wellness. Complete Vitamin Support – 100% RDA or more of key vitamins for men of reproductive age.